Trail Runner’s Guide -eBook/ePub provides comprehensive coverage of trails in and around South Africa as well as information on training gear, footwear, nutrition, events and insider tips from several of South Africa’s leading trail-running experts. 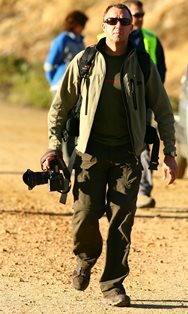 Jacques Marais is a professional photographer, photojournalist and author who primarily focuses on adventure travel, extreme sport and the great outdoors. He regularly contributes to a wide selection of premium adventure-, travel- and outdoor lifestyle magazines and newspapers, both in South Africa and abroad. He has authored and contributed to more than a dozen outdoor and adventure guides, covering activities as diverse as mountain biking, trail running, hiking and adventure racing. Awards include selection as a TOP 50 Finalist in the acclaimed ILLUME Red Bull Photographic Competition, as well as Gold and Silver Certificates in the respected SONY Profoto Awards. When Marais isn’t traveling around the most remote corners of the globe, he explores the Cape Peninsula trails with his wife Karyn and three kids – Beth, Robert and Grace – on their bikes or on foot. Be the first to review “Trail Runner’s Guide -eBook/ePub” Click here to cancel reply.